TalentCircles: A Platform for Talent Connection Solutions: Are Employers Ready for the iGen? 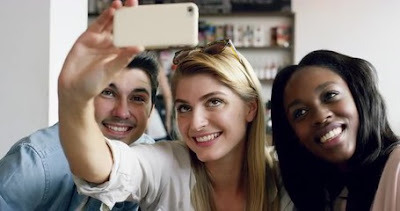 Although the jury is still out on whether they are the iGen or Generation Z, the teens and young adults born around the mid 90’s show a lot of promise for employers. Unlike Generation Y before them, Gen Z appears to be more realistic and career-minded. As this age group starts to enter the workforce, they have some strong attributes to bring to the table and hiring managers and business leaders would benefit from making an effort to get their attention. Here are some of the characteristics shared by this cohort to help you effectively focus your hiring campaigns. They like their privacy. Being aware of the dangers of social media, they tend to be cautious about their personal information. Providing opportunities for this group to easily reach out to you, so they have the feeling of remaining in control of the situation, is likely to generate more interest than if you seem to be invading their space. Human connections are very important to Gen Z. And they actually prefer in-person connections to those online. This is where local alumni have a good advantage over businesses who are reaching out coldly. That alumni connection holds a lot of weight when it comes to letting people in and making plans to meet up and discuss opportunities. Generation Z is more open to diversity than any generation before them. With all of the technology and social media this group has grown up with, they are used to a much broader range of cultural differences and interests than prior groups. They’re more likely to take a variety of viewpoints into consideration when making decisions and coming up with ideas. They will have a strong ability to leverage this world-wide connectivity, which helps them be more prepared to do business globally. These individuals are focused on experience and fulfillment. The iGen wants to enjoy their work and feel they’re making a difference. They tend to look for opportunities to help out in their communities and gain relevant career-related experience before they even begin college. Colleges who have alumni start reaching out early to high school students to form bonds and be active together in the local community can bolster enrollment, develop a strong continuing alumni program, and help the companies the alums work for develop a strong talent network. They have advanced technological skills. And advances in technology don’t seem to be slowing down. This group has grown up in a high tech world where they’ve become used to change and are accepting of new ideas. Their skills and openness will be very valuable to employers. The iGeneration appears to be starting out strong. Start making connections with them now and they are likely to become excellent business partners for their older Gen Y counterparts. For more information about hiring the best talent the iGen has to offer, please contact us at 415-835-0202 or via email sales@talentcircles.com.